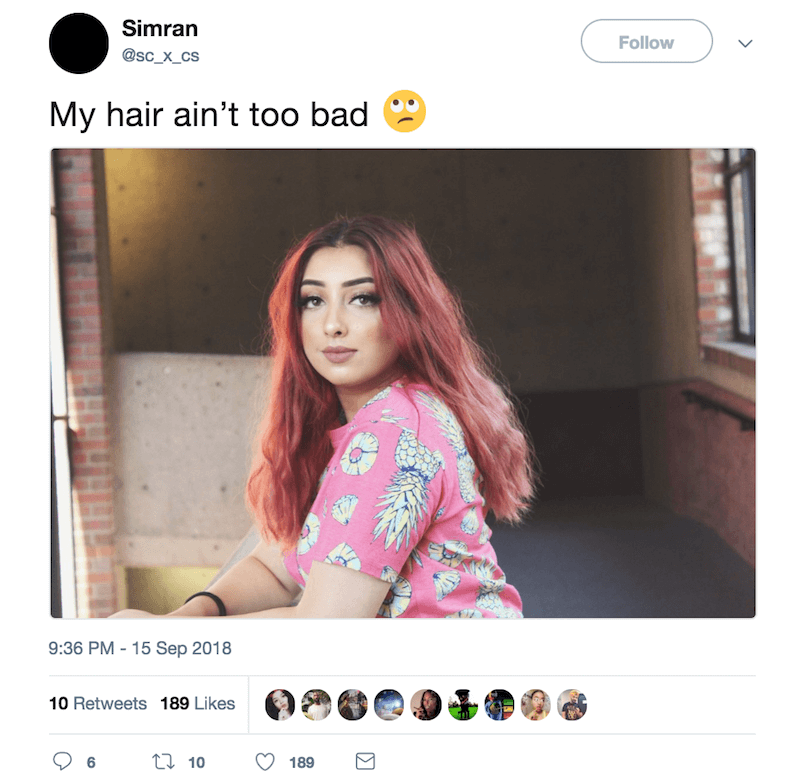 21-year-old Simran learned the hard way that dads and technology don’t always work smoothly together. 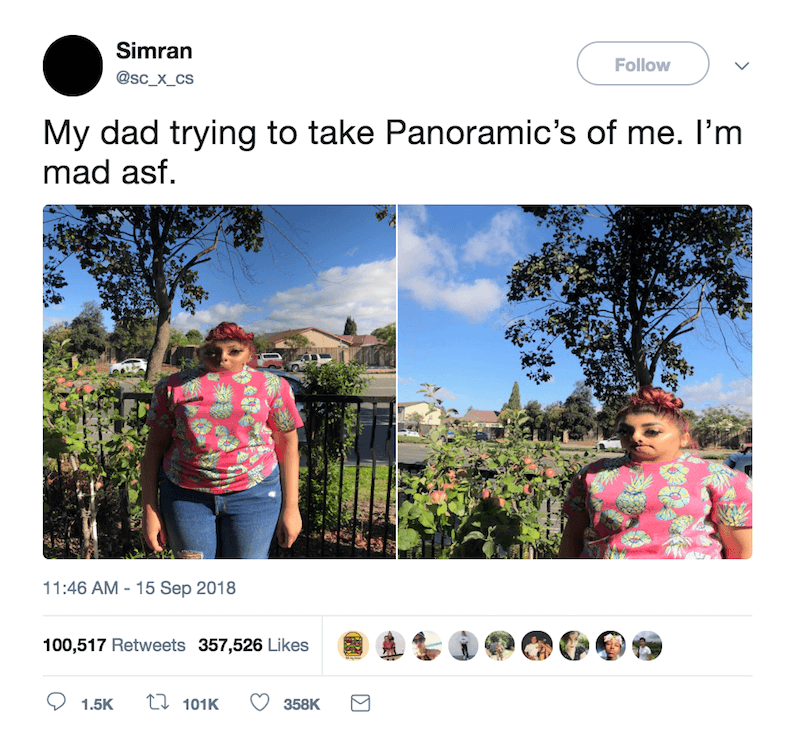 Her lesson was learned with a really hilarious result as her father tried to take a panoramic photo using his iPhone X. “My dad trying to take panoramics of me. I’m mad asf,” Simran tweeted. Along with her tweet was a photo that looks more like an optical illusion than a final unedited picture. To prove that isn’t her real look, she shared an actual photo on Twitter — sans her father’s horrible panoramic skills. Let this serve as a reminder that dads don’t always have technology figure out but at least it can lead to some really funny results.